At some work environments around the country, some employees will happily be inserted with a microchip if it means they get a respectable salary. But at what cost is our freedom? The microchips are fitted with the same technology as credit cards and it can also be used to open doors, log in to computers etc. The company in wisconsin claims that they won’t be using it to track people off the clock but how sure can we be. It would likely keep a record of each time you use the bathroom, how long you were there, and still collect data on the users. It’s likely people might be shunned for refusing the microchip and get labeled as a conspiracy theorist. It’s still in its experimental phase and the ceo of the company even claims himself, that the devices could be used in nefarious ways. Imagine you’re just hanging out online and before you know it, someone is sending you naked photos of yourself telling you to pay up or else! That’s basically what happened to miss teen USA back in 2014. A guy who went to her school, Jared Abrahams was hacking webcams of anywhere from 150-200 people. It’s not just random people who might hack your webcam either. 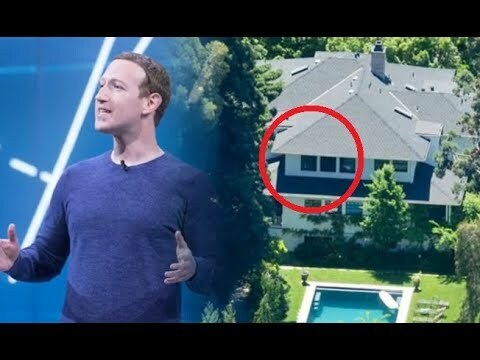 Basically in exchange for us using facebook, we have this guy to thank for us giving up our personal data and privacy. Thanks to NSA whistleblower, Edward Snowden, we now know that the FBI has had secretly spied on it’s citizens for several years. They’re also able to trigger the computer’s webcam without the recording button to come on.Whatever happened to the 4th amendment! The common person might not need to worry about this but depending on your profession and your record, the government might want to take a look at you through your webcam! So watch out! Have you thought about saving a little money on your car insurance? Are you willing to cough over some privacy in exchange? Some automobile insurance companies are willing to make this offer and you should be a little bit hesitant to abide by their requests. Drivers are instructed to insert tracking devices into their cars which will let the automobile insurance company know how fast you’re driving, how often you drive, and where you drive to. All of this data can be used to either lower or raise your rate! It wasn’t until 2013 that progressive decided that they could use this to slap customers with a higher more unfair rate than usual. They’re what’s known as telematic devices that get plugged into your car under the steering wheel and it’ll retrieve a boatload of information about your daily life! Will the insurance company raise your rates if they suspect you’re often visiting a bar? Maybe. Will they constantly be tracking how fast you go looking for the slightest flaw in your driving in order to raise your raises? Very possible. Someone would sound crazy if they said that dragonfly outside floating around was actually transmitting intelligence to the government. It turns out, that’s exactly what the government wants you think! This hovering insect drone is another device known as a Unmanned Aerial Vehicle or simply known as a UAV. It can pick up footage from wherever it decides to flap its wings. This one here is still like a fossil compared to our next one. While you’re watching TV, could it be watching you right back? It might sound like something out of a science fiction movie but it’s becoming a reality. A consultant named Jason Huntley found out that his LG flat screen that was located in his living room had secretly been invading the privacy of him and his wife. The television seemed to be showing him targeted ads for cars, and other things, based on the TV shows he had been watching. Well the truth is, those ads weren’t just shown only based on the shows he liked. It turns out the smart TV had been listening to details of his conversations about the things he liked, and even noted the style of his clothing! So be careful getting one of those new, high tech flat screens at your house!